Located in Joshua Tree National Park in California, Cholla Cactus Garden brightens up the desert scene under the rays of setting sun. Superb shot! I love the light and details. Beautiful in a forbidding way. 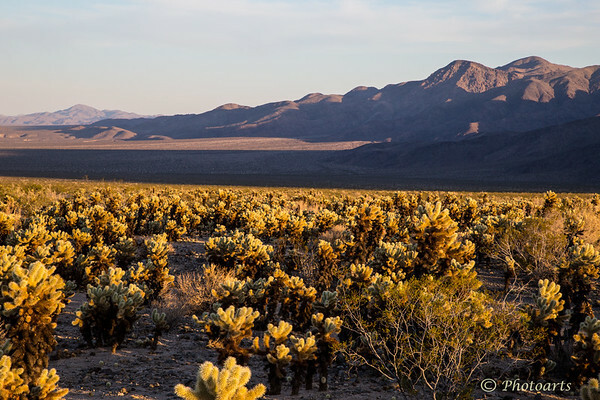 I, too, loved this part of Joshua Tree NP, even though cholla scare the dickens out of me. Excellent work with the light.